If being a supporter of LPM is incompatible with Labour’s ‘aims and principles’, asks Carla Roberts, where does that leave all the other political organisations inside the party? 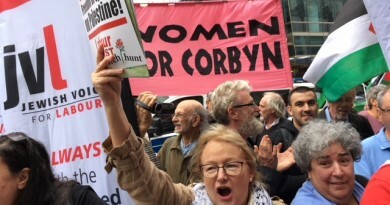 Our Labour Party Marxists front-page article by Moshé Machover, ‘Anti-Zionism does not equal anti-Semitism’, captured the mood of conference and, no doubt, helped inspire many to speak out against the witch-hunting right. We gave out 3,000 copies, with countless delegates and visitors commenting on the relevance and quality of the article. The right was becoming increasingly furious throughout the week. We occasionally got low-level abuse from supporters of Labour First, Progress and the Jewish Labour Movement. JLM chair Jeremy Newmark was spotted creeping around our stall a few times, snapping pictures of LPM supporters and hissing “racists” under his breath. Typically with witch-hunters, challenged to defend his remarks, he skedaddled off. I wanted to ask you if you wish to comment on a call by Labour MPs and the chief executive of the Holocaust Memorial Trust for Labour to investigate the Labour Party Marxists and expel any of your supporters who are party members. They accuse the LPM of producing anti-Semitic literature. Comrade Machover dealt with these baseless accusations in an interview in last week’s issue of the Weekly Worker. On September 27, when the call for our expulsion appeared in The Times (along with a large cohort of the bourgeois media generally), the right was clearly emboldened. This was a chance to vent their frustration with the fact that they had made no impact at all at conference. Encouraged by the press provocations, a few groups of mainly young, suited ‘n’ booted conference attendees snatched some copies of LPM from our stall and ripped them up. Others shouted abuse at us from a distance. A few half-heartedly tried to provoke physical confrontations. No takers on our side, thank you. The net result was to actually draw more delegates and conference visitors to our stall. They were eager to show their solidarity by taking our literature – not quite the result our rightwing provocateurs were hoping for, we imagine. They may have lost conference, but our Labour right wing still has the media and the Labour apparatus on its side, of course. 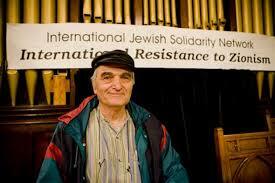 Moshé Machover was informed of his expulsion on October 3, just seven days after the publication of The Times article. Moshé’s ejection was swiftly followed by the expulsion of a handful of LPM sympathisers. apparently anti-Semitic article published in your name by the organisation known as Labour Party Marxists (LPM). The content of these articles appears to meet the International Holocaust Remembrance Alliance definition of anti-Semitism, which has been adopted by the Labour Party. 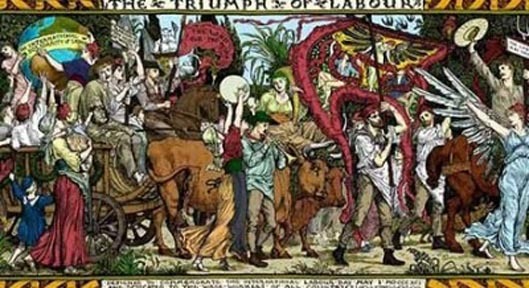 involvement and support for both LPM and the Communist Party of Great Britain (through your participation in CPGB events and regular contributions to the CPGB’s newspaper, the Weekly Worker) … Membership or support for another political party, or a political organisation with incompatible aims to the Labour Party, is incompatible with Labour Party membership. So, clearly, comrade Machover was reported to the compliance unit because of his “apparently anti-Semitic article”. But this alone would have only led to his suspension (as with Jackie Walker, Tony Greenstein and Ken Livingstone – comrades who have all been suspended for well over a year). But then the eager-beaver bureaucrats in the compliance unit decided to add LPM and the Weekly Worker to their unpublished list of proscribed organisations (officially abolished in the 1970s). Et voila! Comrade Machover could be expelled. Naturally, this charge saved the compliance unit a great deal of bother in terms of trying actually prove that comrade Machover’s article was indeed anti-Semitic. Within days, dozens of Labour Party members, branches and organisations had sent statements and letters of protest to the NEC, Labour general secretary Iain McNicol and his letter-writer, Sam Matthews (“head of disputes”). The clearly arbitrary nature of the accusations was challenged, particularly the charge that his article was anti-Semitic. Many of these protests (and comrade Machover’s expulsion letters) can be found on our website. For the avoidance of any doubt, you are not ineligible for membership as a result of complaints received by the party that you have breached rule 2.I.8 regarding language which may be prejudicial or grossly detrimental to the party in an allegedly anti-Semitic article published in your name. These allegations are not subject to an investigation, as you are not currently a member of the Labour Party. Well, yes, you’ve just expelled him, haven’t you, Iain? Comrade Machover was told: “You have been automatically excluded under rule 2.I.4.B due to your clear support of at least one organisation which is incompatible with membership of the Labour Party, namely Labour Party Marxists, as well as the Communist Party of Great Britain.” The charge of having produced anti-Semitic material will handily be kept on file and re-examined should comrade Machover chose to reapply for membership after the standard five years following an expulsion. Comrade Machover, in reminding the labour movement of the communist witch-hunts of the McCarthy area in the US, has publicly stated: “I am not and nor have I ever been a member of LPM or the CPGB.” We can fully confirm he has never been an LPM member (though we doubt the compliance unit takes much notice of our assurances). His “clear support” consisted of writing articles for the Weekly Worker and attending some events organised by the CPGB. However, if the same rule were applied to the front bench of the Labour Party, there would be very few MPs left. Clearly, this expulsion goes right to the heart of the civil war in the Labour Party. The more naive Labour members might believe the nonsense about the whole party now ‘standing united behind Jeremy Corbyn’. The opposite is the case. The more branch and CLP executives go over to the left, the more pro-Corbyn councillors and MPs are selected, the more leftwing delegates are chosen to go to conference, the more desperately the right is trying to retain their hold over the bureaucracy. The expulsion of comrade Machover, together with LPM supporters, shows how much arbitrary power the right still wields. One member was expelled for the crime of sharing six LPM posts on Facebook – the only evidence presented in his letter of expulsion. For decades, nobody had been expelled for simply belonging to another organisation and the only criterion applied when it came to the (very rare) expulsions was the bit about supporting “any candidate who stands against an official Labour candidate”. But after Corbyn’s election the right started to use every method at its disposal to defeat the left. Supporters of Socialist Appeal, many of whom had been loyal and pretty harmless members of the Labour Party for decades, were now targeted. Then, thanks to Tom Watson’s ‘reds under the bed’ dossier, it was the turn of Alliance for Workers’ Liberty members. But if members face automatic expulsion for joining or supporting any “political organisation other than an official Labour group or other unit of the party”, that begs the question why members and supporters of Labour First, Progress, Jewish Labour Movement or Labour Friends of Israel are not turfed out. As our head of internal governance advised you, independent groups are not required to conform with Labour Party rules on affiliations and none of the organisations you describe are affiliated to the Labour Party. However, all individual members of the Labour Party are obliged to comply with Labour Party rules. These organisations are their own legal entities with their own funds, membership and rules. If they wish to affiliate to the Labour Party they must demonstrate that they support Labour’s aims and values and provide the party with audited accounts and their rulebook to ensure that these do not conflict with Labour’s own rules and values [our emphasis]. As previously advised, the Labour Party should be the home of lively debate, of new ideas and of campaigns to change society. For a fair debate to take place, people must be able to air their views. This includes for all members and groups the right to make clear their opposition to a party’s policy position or leadership, and the right to campaign for a position or direction they believe the party should follow. We are a democratic organisation and through our conference we settle our direction through the will of all sections of the party. But we do not seek to censor those who disagree. In your correspondence … you refer to chapter 2, clause 1, section 4.B. However, you have only quoted half of the relevant sentence. The full clause copied below specifically relates to joining or supporting a political organisation that stands or publicly declares an intention to stand a candidate against an official Labour candidate. None of the organisations you describe have stood or have declared an intent to stand a candidate against an official Labour candidate [our emphasis]. So how does all this relate to comrade Machover and Labour Party Marxists – which has never stood or declared “an intention to stand” against Labour? Note that McNicol stresses members’ and groups’ “right to make clear their opposition to a party’s policy position or leadership, and the right to campaign for a position or direction they believe the party should follow”. According to his email, only when a group wants to “affiliate to the party” does it have to “demonstrate that they support Labour’s aims and values”. This organisation’s expressed aims and principles are incompatible with those of the Labour Party, as set out in clause IV of the Labour Party constitutional rules. Membership or support for another political party, or a political organisation with incompatible aims to the Labour Party, is incompatible with Labour Party membership. Needless to say, LPM has not applied for affiliation. And, all of a sudden, Labour is not that “home of lively debate, of new ideas and of campaigns to change society”. In reality of course, it all depends on what kind of change your organisation wants to see. We make no secret of our belief that clause four needs to be dramatically reworded to feature a clear commitment to socialism and working class power. While we fight for the radical transformation of the Labour Party, Labour First, Progress, JLM and Labour Friends of Israel clearly want to return to the good old days of Blairite neoliberalism and collaboration with big business. Speaking of Tony Blair, he certainly was one Labour Party member whose “expressed aims and principles” were “incompatible with those of the Labour Party”, as set out in clause four. After all, he campaigned against the old clause four and managed to force through a total rewrite! The Campaign for Labour Party Democracy has set up a working group to discuss how clause four should be changed. Does that make the CLPD “incompatible” with the Labour Party? In our view, the people and organisations “incompatible” with the aims and values of the Labour Party are those who vote with the Tories on austerity, those who wage war on migrants and the poorest section of society and those who scream ‘anti-Semites!’ in response to criticism of the state of Israel. While rules can protect us from the worst excesses of arbitrary abuse, they can be interpreted, bent and twisted ad absurdum by those in charge. It all depends on the balance of forces in the party.